ISLAMABAD - Middle East’s English language daily Arab News has launched its Pakistan online edition as part of the paper’s ongoing global and digital expansion. 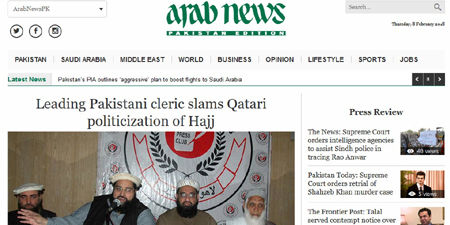 The paper reported that its service is now available at www.arabnews.pk. 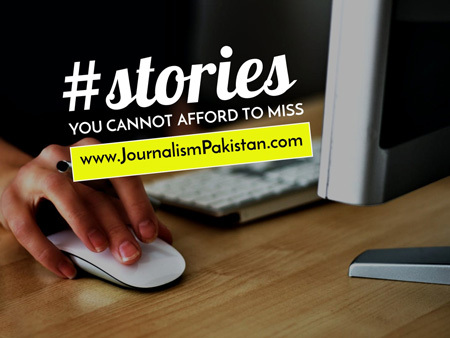 The coverage focuses on news and views from Pakistan and the wider region. The particular focus though will be on Islamabad’s ties with Saudi Arabia and the Arab world. The team is led by the award-winning journalist Baker Atyani, head of Arab News’ Southeast Asia bureau. The paper said that the www.arabnews.pk site is the first of a series of country-specific online editions that the newspaper is planning to launch, and is part of the brand’s “more digital, more global” strategy announced last year. “Arab News is already a recognizable brand among many Pakistanis, given its deeply-rooted relationship with the huge expat community in Saudi Arabia, where our newspaper was founded in 1975,” he said. Atyani said that www.arabnews.pk would help throw light on a part of Asia which is not always well-understood by English-speaking audiences. “It is an honor and a big responsibility to be handling this exciting project for Arab News,” said Atyani. Arab News is part of the regional publishing giant Saudi Research and Marketing Group (SRMG). It has been the English newspaper of record for Saudi Arabia and the region for over 40 years.